High quality, long service life. 2.4 / 5G Dual band WiFi, maximum speed of up to 867Mbps. 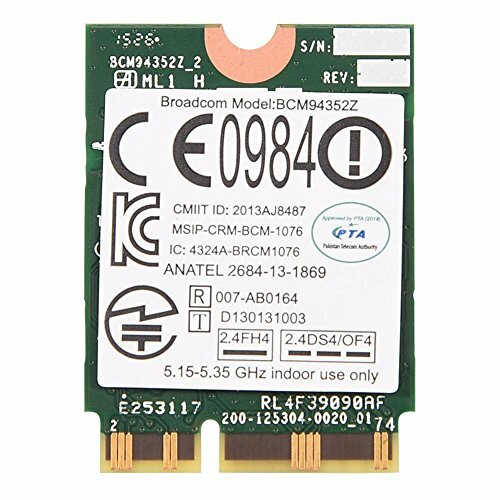 Best replacement for your cracked / damaged / faulted Module Card. Installation instruction is not included and professional installation is recommended. High quality, long service life. 2.4 / 5G Dual band WiFi, maximum speed of up to 867Mbps. Best replacement for your cracked / damaged / faulted Module Card. Installation instruction is not included and professional installation is recommended.